Ikan said the new CB6, priced at $449.99, is a 200-watt soft light. It has a 95+ CRI 96 TLCI and is bi-color adjustable from 2800 to 6500 Kelvin. The light has a 120-degree beam angle without a soft box. The light has a baby pin mount with a 90-degree receiver hole and a controller with a six foot extension cable for adjusting color and brightness. The Canvas light is battery-powered by pro-style V-mount batteries and includes a V-mount to DV battery adapter. It also includes a soft box and egg crate. 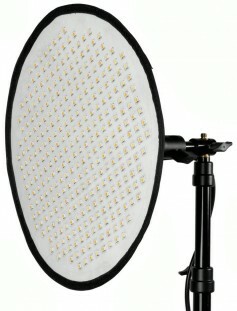 There is a range of lights in the Canvas series, including the CB8, a larger bendable LED priced at $549.99.